My latest GeekMom post: it’s about Facebook, of course. In-Your-Facebook: A Look at the Latest Wave of Big Changes on the Social Network Everyone Loves to Hate. Great post! 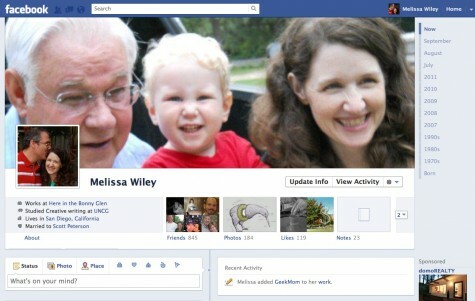 I have mixed feelings on the upcoming Facebook changes, but look forward to trying it in action. If you’d like for me to add a description or image, just let me know!